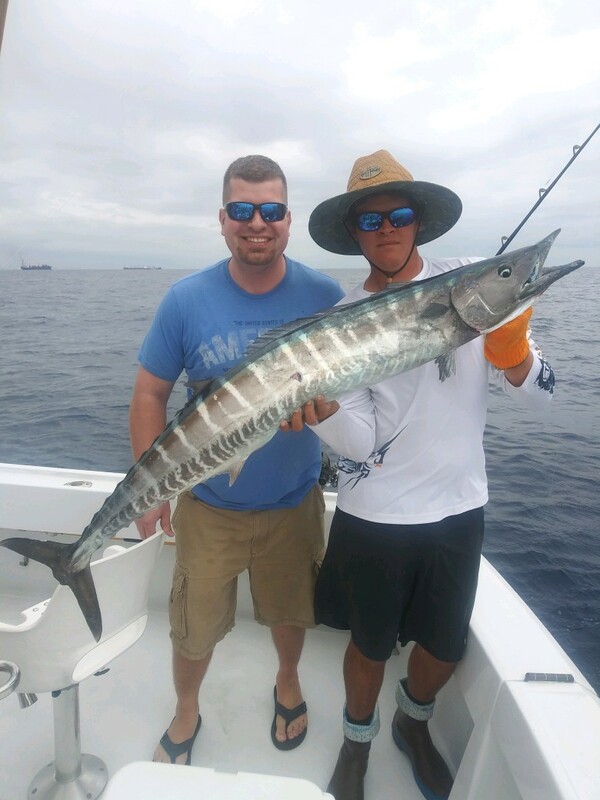 Please enjoy the photos of recent anglers who have joined us here and their Wahoo. 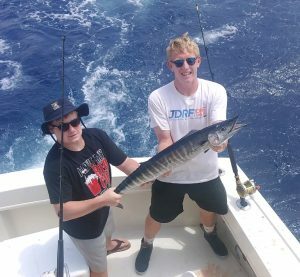 Fishing just off the edges of the reef continues to be the place to target a Wahoo. 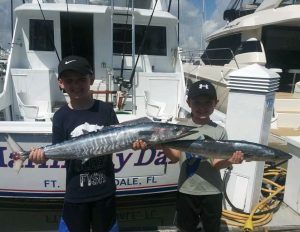 Clean clear water and good current conditions continue for fishing charters in Fort Lauderdale. Blackfin Tuna off the edge with the Wahoo and taking smaller artificial baits fished long and on the surface. Occasional Blackfin on the deep lines but larger dark colored baits have been our primary presentation there and Wahoo have been appearing on those baits the most. 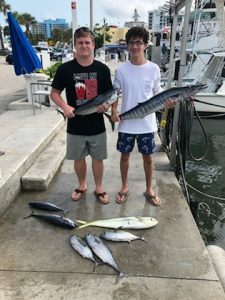 We are catching the Mahi- Mahi with better regularity now as we leave winter behind and the fleet as well as in sure many local private boat owners are pleased that there are more fish available. This should continue and improve as we move into April and May. Some Kings inside and fat Bonito mixed in. Full grown Amberjacks are moving onto the wrecks now. Good Golden Tilefish still in that deep water but slower bite this week. Slow for Sailfish with only an occasional bite from them but they very much remain a possibility on every charter. Large sharks thickening up off the edge as their migration to the south is underway. Captain Nate and charter crew pulled a big Bull off a wreck yesterday. The Jacks begin to stack up on the wrecks and the Bull Sharks are often like clockwork right behind them. Tight lines to all. See you on the rip.